To fill the much-needed YA slot, Mitali Perkins (pictured at the open of this post) joins us. 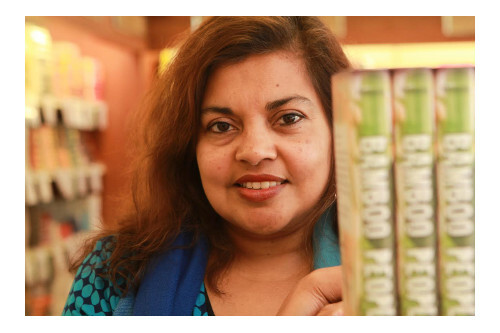 A distinguished author, responsible for such books as Rickshaw Girl, Bamboo People, Secret Keeper, and this April’s Tiger Boy, Mitali has maintained her blog, Mitali’s Fire Escape, since 2005, where she discusses books between cultures. You may also find her on Facebook or Twitter. Minh Lê also joins us. We’ve been impressed by and big fans of his work for years now. Not only has he been blogging for Book Riot, the Huffington Post, and Bottom Shelf Books, but he recently sold his debut picture book, Let Me Finish!, to Disney-Hyperion. You can also find him on Twitter. Photo of Mitali Perkins taken by Thomas Vo and used by her permission. Photo of Minh Lê taken by Danielle Lurie and used by his permission. The Niblings art was created by Megan Montague Cash and is © 2013 Betsy Bird, Julie Danielson, Travis Jonker, and Philip Nel. love the Niblings, Jules, and I was excited to see these two join your forces!